A Rotherham accountancy firm is continuing its expansion, acquiring a local accountancy office and taking on new high profile premises in the town centre. The firm, which also has an office in the south of the borough, in Dinnington, has recently moved into additional new premises in Rotherham town centre at The Crofts. With the expansion of Handelsbanken, one of Sweden's leading banks, to new offices at Templeborough, Brearley & Co moved quickly to snap up the premises behind Rotherham Town Hall - in the heart of Rotherham's financial and professional district. Mark Smallman, managing director of Brearley & Co, explained: "We have a good relationship with Handelsbanken so when we knew they were moving out, we got in touch about taking on the town centre office. "It is all part of our strategy for taking Brearley & Co to the next level. Our Swinton office is full and our Dinnington office is doing well. Taking on additional premises in Rotherham town centre will help us move into new markets and target firms in other areas." The Mayor of Rotherham is set to officially open the new premises this week. 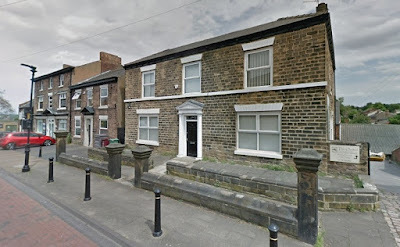 The office is inside one of the two-storey late nineteenth century houses close to the earlier listed school building, now The Bluecoats public house. Now dominated by Rotherham's Town Hall, The Crofts was previously a cattle market of regional importance, which remained a cattle market until the early 20th century. Also part of the firm's expansion, Brearley & Co has recently purchased M P Beahan & Co Chartered Accountants (MPB). MPB were located on Laughton Road, also in Dinnington and following the conclusion of the deal, the team and clients have merged onto Brearley & Co's Dinnington office. On the deal, Smallman added: "It creates a great opportunity for us to introduce cloud accounting to MPB clients and ensure they are making tax digital compliant. We look forward to getting to know our new clients and adding value service like management accounts and tax planning."